The danger of ragwort to animals is being taken so seriously that workmen are ready to pull up the weed and burn it when hear about new sightings in Warwickshire. While some horse riders have complained there is still too much of the poisonous weed, the county council said its policy is to get rid of the yellow peril as soon as it is noticed. The ragwort is one of the most common causes of poisioning in horse and cattle. It can fatally harm their liver and digestive system. �Our policy is to pull it, bag it and burn it. Where we are notified we will act as soon as we can. �It is a high priority for us and we will send a crew out as soon as possible. Obviously at this time of year we have more people on holiday, but we will go as soon as we can. The county council is responsible for most roads in Warwickshire, except for trunk roads like the A45 and A46 and motorways, but obviously these are not used by horses, but they could graze in fields nearby. Just pulling at the weed probably does more harm than good - if the seed head bursts, it will just lead to more ragwort. The wind will blow the seed and just spread the weed. From June, the plant starts to grow and it has flowers packed together. It is bright yellow in colour. 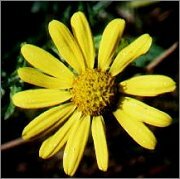 CLICK HERE TO SEE BHS LEAFLET ON RAGWORT.